When Lexus introduced the LC two years ago, the consensus was that the Japanese automaker had delivered an automotive masterpiece. Now, at the Detroit auto show, we may have seen the debut of a second stroke of genius, in the form of a convertible version of the sports car. Officially still just a concept, this new lidless LC looks by all accounts like a vehicle that’s very close to production-ready. The roadster is designed with the aim of expressing “ultimate beauty”, and of serving as the style standard-bearer for the brand. There’s a clear and close link between the fascia of this design study and what sits at the front of the coupe version. In back things diverge somewhat, however. Instead of a hard top, the movable hood necessitated a rejigging of the rear end. It might be different, but the result is just as spectacular as before. 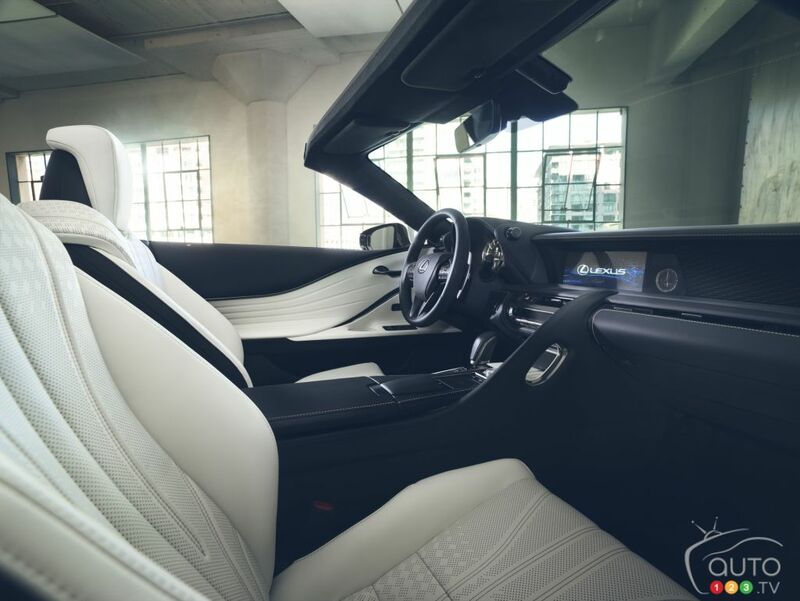 Inside is notable for its luxurious white leather surfacing with a bit of yellow stitching to liven things up in what is nonetheless a rather monochromatic environment. 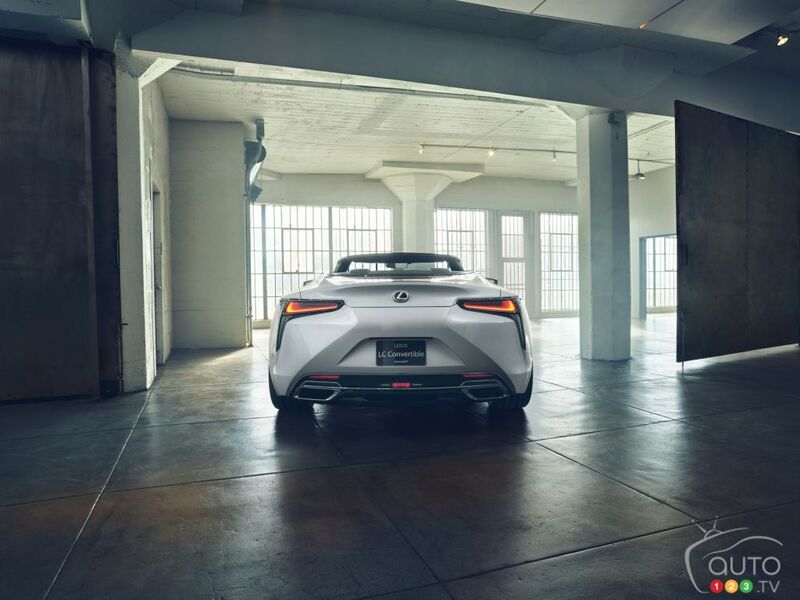 And though Lexus takes pains to designate its sport car as roadster, there are in fact back seats in the LC concept – though they’re rather small. 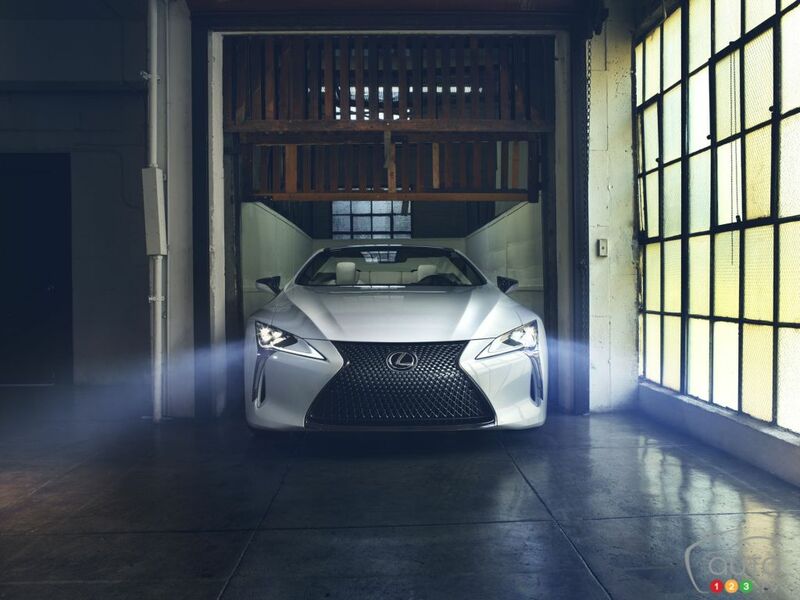 Lexus provided no details about what the mechanics might consist of in the production version if/when it sees the light of day, but we think it’s likely it will inherit the same basic powertrain as the LC coupe. That unit is a 5.0L V8; the hybrid version runs on a 3.5L V6. 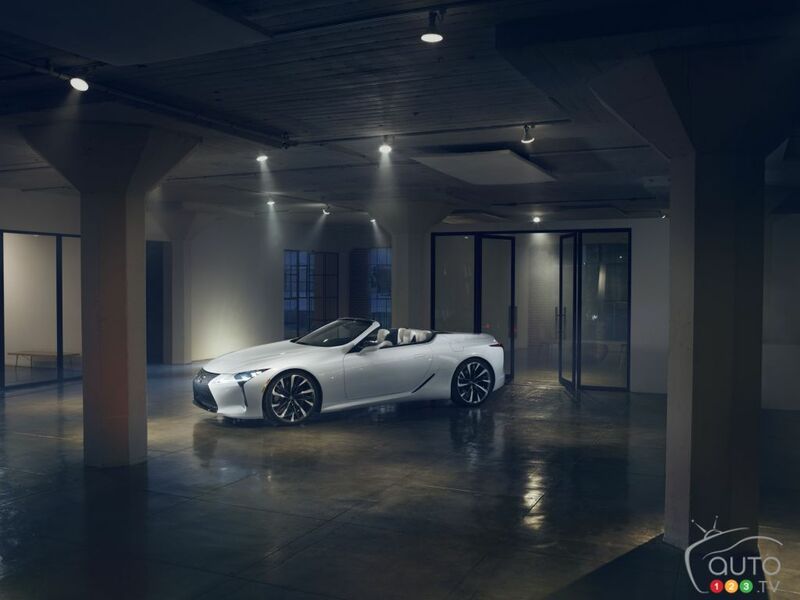 Bringing this lidless LC to production would give Lexus a model that could take on the convertible 8 Series from BMW and S Class from Mercedes-Benz.